I can't believe Feaster still has a job. Luckily I'll be able to sell my tickets at a substantial upgrade to the mouthbreathing Canucks fans. How awful is that season ending afternoon game going to be? the crew is debating whether to buy tickets just to go hooligan in the Dome. You want mine? Nice and close to the benches so Butter can hear you chanting his name. Email me your price and Ill let you know if I can afford em. 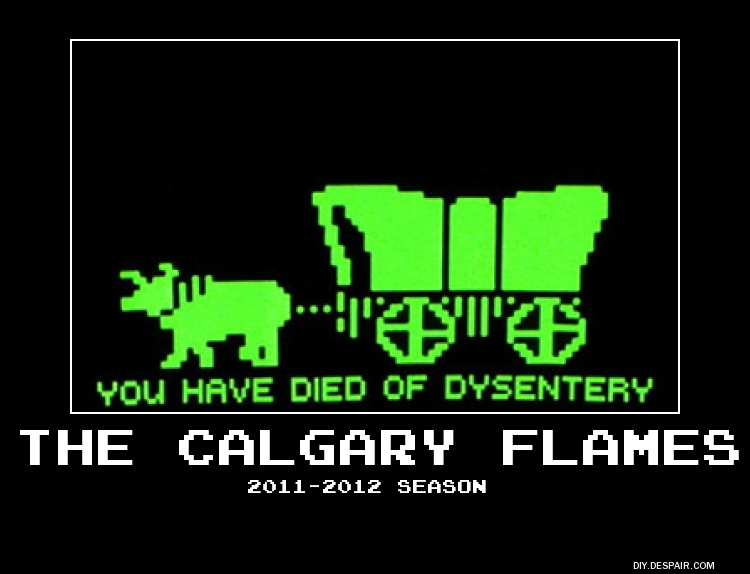 Forgot to give the props for the Oregon Trail reference. You're too young to know how cool that game really was.